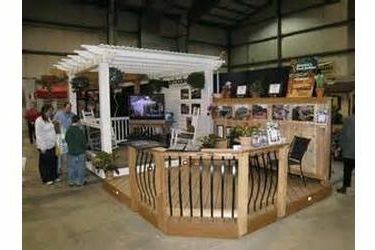 The KSCB Springfest Homeshow will be held Saturday and Sunday in the Seward County Activities Center in Liberal. Over 80 vendors will present their wares in what is believed to be one of the largest shows in its history. The show offers displays and good buys in windows, siding, insulation, countertops, cabinets, metal buildings, garage doors, mowers, grills, painting, security systems, outdoor furniture, pools and spas, health and beauty, accessories for the the home and self, gift giving and more. The show runs from 9-6 Saturday and noon to five Sunday. Many events are scheduled including The Pancake Day Eating Flipping and Recipe Contests, and Rockin’ Gypsy Trunk Show. The Home show is an annual event and in recent years has included shows in the fall and the spring. Thousands are expected to attend.